Rich low brass (Tombac) is 15% zinc. It is often used in jewelry applications. See also our article about Pinchbeck. Tungsten Steel: Tungsten was originally knows as Wolfram. Tungsten is used as an alloying metal in steel to increase strength and stability at high temperatures. Sterling Silver, 925: alloy of 92.5% silver with 7.5% copper. Sterling silver is harder than pure silver, and has a lower melting point (893 °C) than either pure silver or pure copper. Argentium Sterling Silver: With the addition of germanium, the patented modified alloy Argentium Sterling Silver is formed, with improved properties including resistance to tarnish. Coin silver: is used in some countries and could be marked "900" or "800" depending on fineness. 900 silver is 90% silver and 10 % copper, and 800 silver is 80 percent silver and 20 percent copper. "Mexican Silver", "German Silver," "Indian Silver," "Montana Silver," or simply "silver" do not guarantee any silver content. "German Silver" is another name for the alloy of Copper, Nickel and Zinc usually called Nickel Silver. Despite the name, Nickel Silver contains no silver. "Tibet Silver" is a 100% lead-free zinc alloy that has anywhere from 5-10% actual silver content. It is 100% hypo-allergenic. It does hold up very well, even in jewelry tumblers. It is often made to resemble genuine .925 Bali silver. Silver is a constituent of almost all coloured karat gold alloys and karat gold solders, giving the alloys paler colour and greater hardness. White 9K gold contains 62.5% silver and 37.5% gold, while 22K gold contains up to 8.4% silver or 8.4% copper. Silver is stable in pure air and water, but tarnishes when it is exposed to air or water containing ozone or hydrogen sulfide to form a black layer of silver sulfide which can be cleaned off with dilute hydrochloric acid. When you buy gold jewellery, it isn't pure gold. Your gold is really an alloy, or mixture of metals. The purity or fineness of gold in the jewellery is indicated by its karat number. 24 karat (24K or 24 kt) gold is as pure as gold for jewellery gets. 24K gold is also called fine gold and it is greater than 99.7% pure gold. Proof gold is even finer, with over 99.95% purity, but it is only used for standardization purposes and is not available for jewellery. Gold will form alloys with most metals, but for jewellery, the most common alloying metals are silver, copper, and zinc. However, other metals may be added, especially to make coloured gold. White gold is an alloy of gold and at least one white metal, usually nickel or palladium. Like yellow gold, the purity of white gold is given in karats. White gold's properties vary depending on the metals and proportions used. 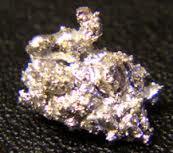 As a result, white gold alloys can be used for different purposes; while a nickel alloy is hard and strong, and therefore good for rings and pins, gold-palladium alloys are soft, pliable and good for white gold gemstone settings, sometimes with other metals like copper, silver, and platinum for weight and durability, although this often requires specialized goldsmiths. The term white gold is used very loosely in the industry to describe karat gold alloys with a whitish hue. Many believe that the color of the rhodium plating, which is what they see on many commercial pieces, is actually the color of white gold. The term white covers a large spectrum of colors that borders or overlaps pale yellow, tinted brown, and even very pale rose. The jewelry industry often hide these off-white colours by rhodium plating. Rose gold is a gold and copper alloy widely used for specialized jewelry due to its reddish color. It is also known as pink gold and red gold. As it was popular in Russia at the beginning of the nineteenth century, it is also known as Russian gold, although this term has become somewhat rare. Although the names are often used interchangeably, the difference between red, rose, and pink gold is the copper content-the higher the copper content, the stronger the red coloration, as pure gold is yellow and pure copper is reddish. A common alloy for rose gold is 75% gold and 25% copper by mass (18 karat). Since rose gold is an alloy, there is therefore no such thing as "pure rose gold". Green gold alloys are made by leaving the copper out of the alloy mixture, and just using gold and silver. It actually appears as a greenish yellow, rather than as green. Eighteen karat green gold would therefore contain a mix of gold 75% and silver 25%. Fired enamels adhere better to these alloys. As a pure metal, platinum is silvery-white in appearance, lustrous, ductile, and malleable. It does not oxidize at any temperature. Platinum's resistance to wear and tarnish is well suited for making fine jewellery. As of March 2010, platinum was more expensive than gold, though this has not always been the case. The metal has an excellent resistance to corrosion and high temperatures and has stable electrical properties. Palladium itself has been used as a precious metal in jewelry since 1939, as an alternative to platinum or white gold. This is due to its naturally white properties, giving it no need for rhodium plating. It is slightly whiter, much lighter and about 12% harder than platinum. Similar to gold, palladium can be beaten into a thin leaf. Like platinum, it will develop a hazy patina over time. Unlike platinum, however, palladium may discolour at high soldering temperatures, become brittle with repeated heating and cooling, and react with strong acids. Palladium is one of the three most popular metals used to make white gold alloys. (Nickel and silver can also be used.) Palladium-gold is a more expensive alloy than nickel-gold, but seldom causes allergic reactions (though certain cross-allergies with nickel may occur). When platinum was declared a strategic government resource during World War II, many jewellery bands were made out of palladium. As recently as September 2001, palladium was more expensive than platinum and rarely used in jewellery also due to the technical obstacle of casting. However the casting problem has been resolved, and its use in jewellery has increased because of a large spike in the price of platinum and a drop in the price of palladium. Prior to 2004, the principal use of palladium in jewellery was as an alloy in the manufacture of white gold jewellery, but, beginning early in 2004 when gold and platinum prices began to rise steeply, Chinese jewellers began fabricating significant volumes of palladium jewellery. This growth continued during 2005, with estimated worldwide jewellery demand for palladium of about 1.4 million ounces, or almost 21% of net palladium supply, again with most of the demand centered in China. The popularity of palladium jewellery is expected to grow in the next years as the world's biggest producers embark on a joint marketing effort to promote palladium jewellery worldwide. Rhodium plating is very popular to increase the shine, white colour and durability against scratching in silver and white gold. It is also used as an economical way to turn yellow gold into white gold. The plating will wear off with time and needs to be re-newed. The only way to remove the rhodium plating is by mechanically buffing it off. Other metal plating can be removed by 'electro stripping', similar to the plating procedure only in reverse, but rhodium doesn't respond to that. That's one of the reasons the rhodium is used in the first place, because it is so hard and durable. Gold filled means 1/20th of the total weight of the piece is solid gold, deposited on the outside of the metal. So, if you have 14K gold filled metal, you have a layer of solid 14K gold on the outside. With gold-filled items, the solid gold layer is 50 to 100,000 times thicker than regular gold plating, and 17 to 25,000 times thicker than heavy gold electroplate (sometimes stamped HGE or HGP). 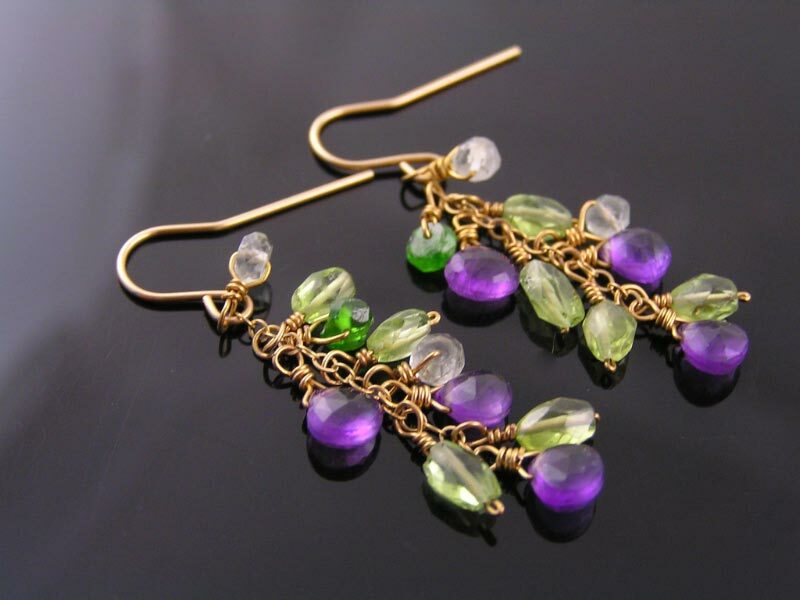 Vermeil is a combination of sterling silver and gold. 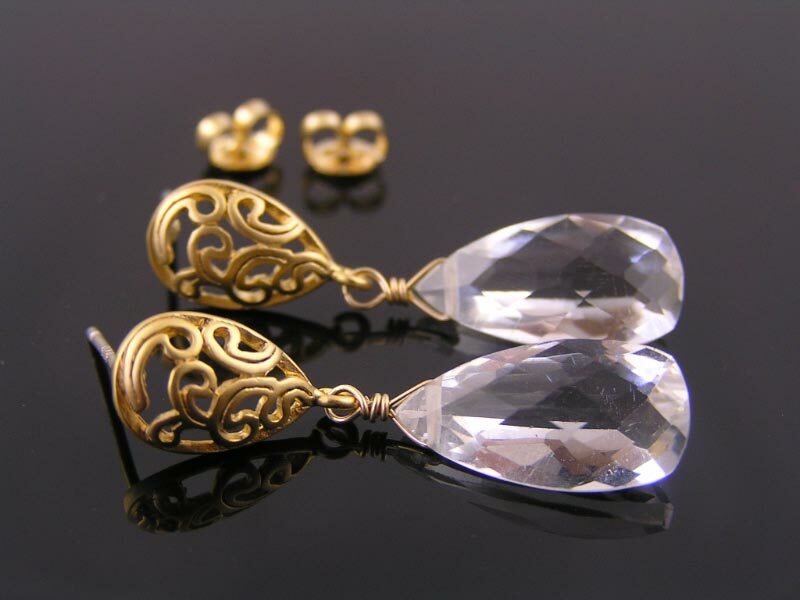 A typical example is sterling silver coated with 14K (58%) gold. To be considered vermeil, the gold must also be at least 10K (42%) and be at least 2.5 microns thick. (In comparison, gold plated items only have a gold layer of 0.5 microns thick). A micron is 1/1000th of a millimetre.